Go to settings – > contracts. Edit the default contract or duplicate it, or create new. The default contract (main) affects all the employees if you do not change the contract inside the employee’s card. Select default work days, set working hours and overtimes, then click on “set as default”. 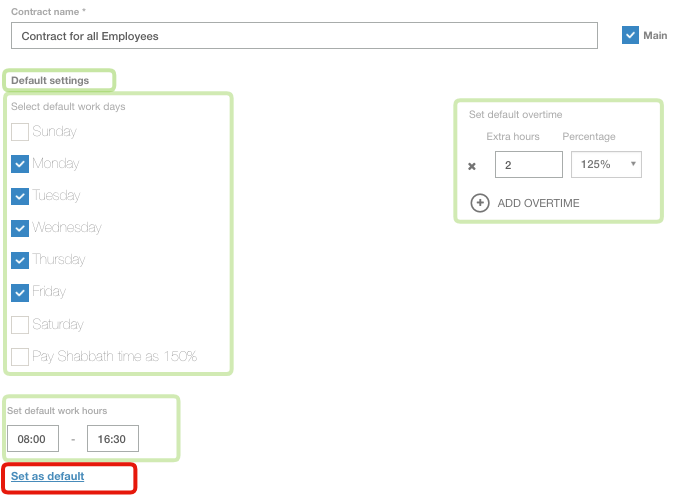 the settings would be copied to the “Work days” section, where you can edit each day apart or just save the contract.